Kaizer Chiefs’ next opponents for the Nedbank Cup Last 16 round have promised the Soweto giants a fight in anticipation of their visit to Cape Town. Following their emphatic win over NFD outfit Maccabi FC in the Last 32 round of the competition, ABC Motsepe League side The Magic have been drawn to play against Chiefs, in what will be the biggest match of their history. 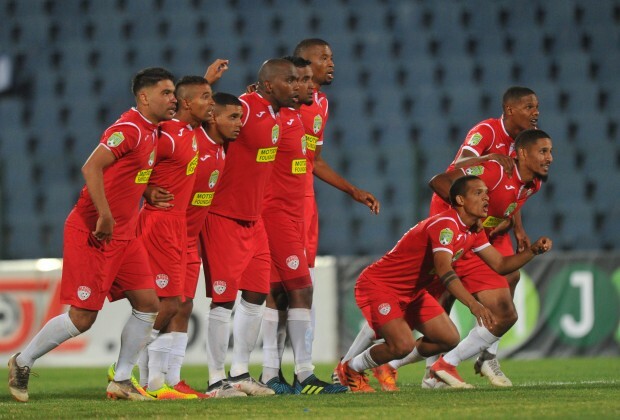 Against another third-tier outfit Tornado FC last weekend, Chiefs needed extra-time to win their Last 32 match 1-0, and according to The Magic’s team manager, Anella Bota, his team will be up to the challenge against Amakhosi in the Mother City. “It’s a good draw, firstly, because we will be playing at home, and secondly because we will be playing the biggest team in the country. It’s going to cause a big headache for the technical team because all the players are psyched up and everyone wants to play,” Bota told the Siya crew. “But the good thing for the technical team is that not a single player will need any motivation. It’s a good opportunity for our youngsters to market themselves and I’m sure the experienced players will guide them as we won’t be playing in front of 100 people, which may be a daunting task for them,” he added. “We know Chiefs tend to struggle against lower league teams, but on their day they can be very dangerous, so we will not be going to the game with the mindset that they will struggle, but we will go there to fight and we will give as we get,” concluded Bota. Chief must borrow hlompho kekana so he can score 17goals on the day . Chiefs will win this one but won't win the cup. Is a good opportunity for the young starts to showcase their talents.